Aloe dichotoma x Aloe ramosissima is a cross that represents the best features of each of these two rare Aloe species. It has the attractive multi-branching habit of Aloe ramosissima, plus the blue-grey pointed sword-shaped leaves of Aloe dichotoma. 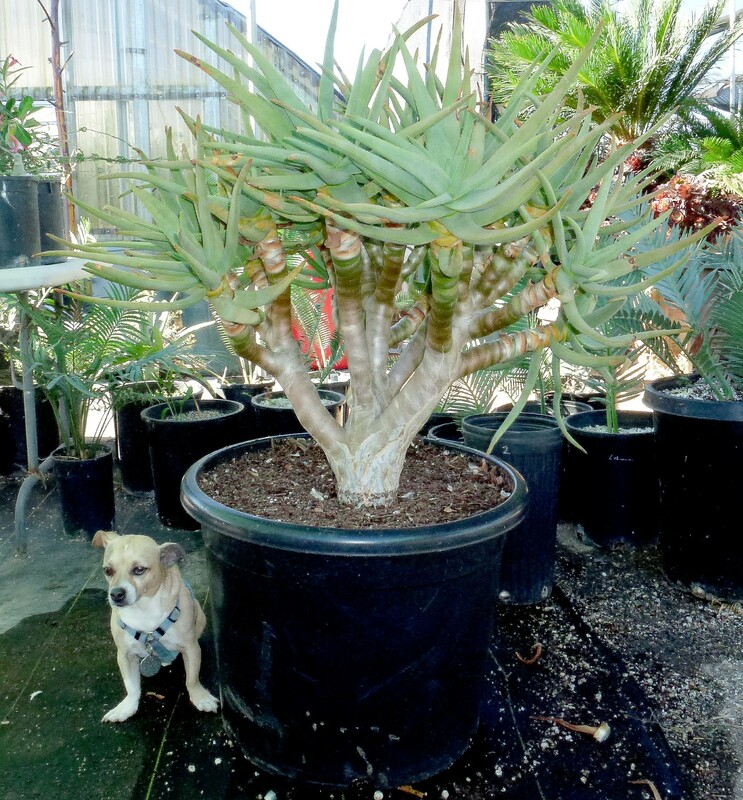 This plant features hybrid vigor, growing about 50% faster than Aloe ramosissima. Please click here to see a larger image of this plant, to see how beautiful this plant is. At this time, we only have a couple of specimens consigned to us, so it's first come, first served.